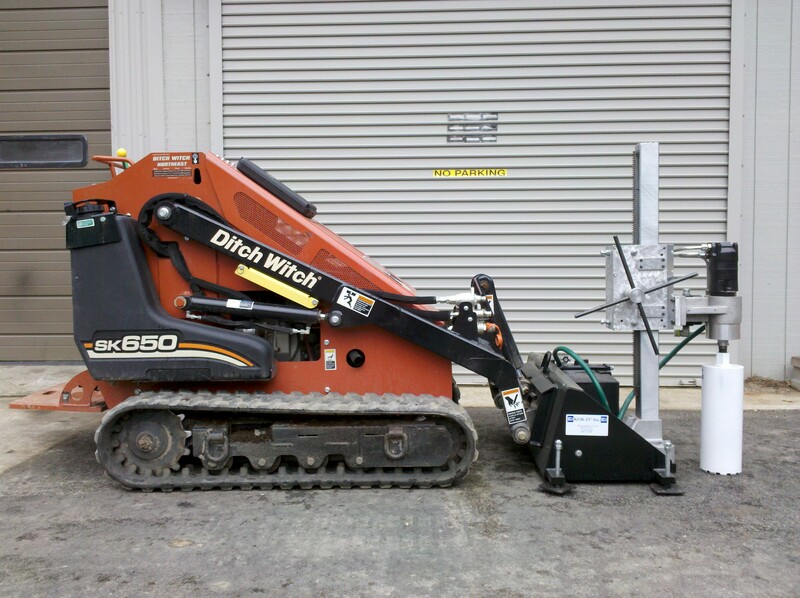 More innovation at Shaughnessy Rental! Introducing the POWERCORE © engineered and designed at Shaughnessy Rental! This core drill attaches to our compact tool-carrier, the Ditch Witch SK650. With an attached water tank, productivity will skyrocket from a handful of cored holes a day to dozens of cored holes a day!